Shinai is a bamboo sword for Kendo. 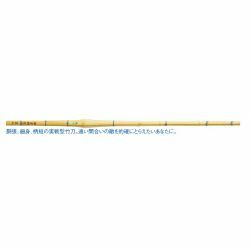 Our Shinai are made in Japan and of an excellent quality. 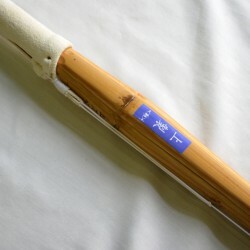 A shinai is a bamboo saber - sometimes made of carbon - used in Kendo, made of four bamboo slats tied together with leather straps. It is used during training performed at real speed to limit the risk of injury thank to its flexibility, which is not the case with a bokken (bokuto) or an authentic katana. In addition, a quality shinai will naturally be very resistant to shocks. It is very important to take care of one's shinai and inspect it meticulously before and after each training session to identify any splinters or cracks. Our Shinai are made in Japan in the traditional way and are of excellent quality. Shinai There are 6 products. MATSUKAN Shinai TOSHINJO Classic SHINAI Made in Japan.